Barramundi (or Sea Bass) - A mild, sweet flavored flesh which can be grilled, fried, steamed and baked. Delicate flesh, so don't overcook it. Barramundi with Chinese Chives - Barramundi, Chinese chives, Chinese rice wine, sugar, black pepper. Barramundi with Orange & Vermouth Sauce - Barramundi fillets, fresh thyme, fennel, orange juice & zest, vegetable stock, spring onions. Sweet & Sour Barramundi - Barramundi fillets, bok choi, shittake mushrooms, oyster mushrooms, spring onion, fresh ginger, lemon grass, sesame seeds, pineapple juice, red wine vinegar, star anise, tomato juice, cornflour. Barramundi with Carrots & Onions - Whole plate sized barramundi, carrots, onions, butter. 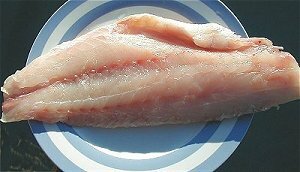 Fillets of Barramundi with Cream & Butter - Barramundi fillets, cream, butter, seasonings. The Whisky route is often considered as one of the most desired kilimanjaro climbing itineraries in Africa. For extra information about available tours, visit http://africansermonsafaris.com/machame-route-7-days-on-kilimanjaro-climb/ .